A Northwestern Medicine study has expanded the understanding of nicotine’s influences on the brain’s reward pathway, with implications for the development of anti-addiction therapies. 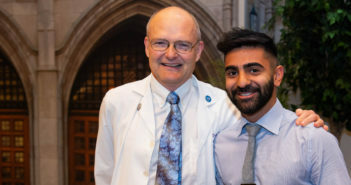 All Feinberg students complete a two-week Physical Medicine and Rehabilitation clerkship at the Shirley Ryan AbilityLab, where they are encouraged to think about their patients’ overall function, rather than just their illness. A team of scientists has discovered that in children with epilepsy thought to be caused by a spontaneous mutation, about 10 percent of parents in fact carry the same variant in a small proportion of their own cells. 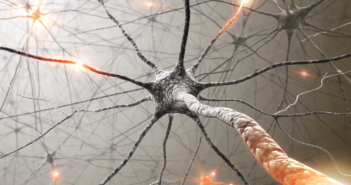 Genetic mutations dysregulating synapse function contribute to a toxic cascade that leads to neurodegeneration in Parkinson’s disease, according to a Northwestern Medicine study. On May 21, members of the class of 2018, faculty, friends and family members gathered at Navy Pier to celebrate Feinberg’s 159th convocation.